Over the past few years I've participated in Adam @RoofBeamReader's Austen in August with a great deal of pleasure, but he has decided not to run with it this year. I understand completely. 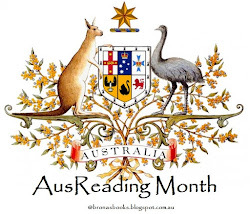 Every September/October I angst over whether or not I will go ahead with my very own AusReadingMonth in November...and AusReadingMonth is a much more low-key event than Adam's Austen in August ever was. I've been reading an Austen a year since I was 17. It used to be my summer holiday pleasure when I was a teacher. 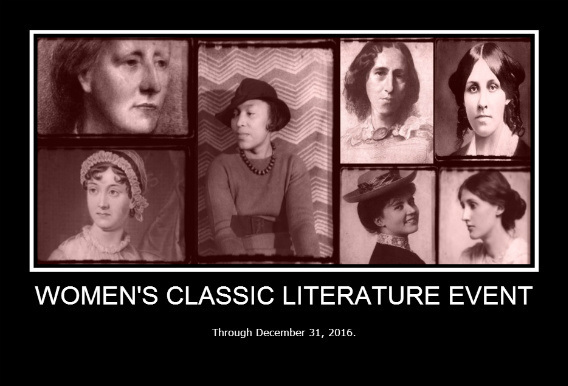 Every January (I'm in the southern hemisphere remember) I would reread at least one Austen. I now look forward to reading Austen in August every year and plan my (very loose, free and easy) reading schedule around this idea. I've also discovered some wonderful like-minded blogger friends via Austen in August and I enjoy catching up with them every year to chat about all things Austen. I know there are other Austen events doing the rounds and perhaps it would be good for me to spread my wings and meet new bloggers. But half the pleasure of Adam's Austen in August is the people I've got to know. So I throw this open to all of you - would you still like to read an Austen in August with me this year? Very casual, very informal, but very Austen. I could throw up a linky for posts and reviews. I could create a hashtag for twitter chats and Insta pics. Would you be interested? My plan is to read my brand new Annotated Persuasion this year. I have some short stories left in my volume of Austen's Juvenilia as well. What do you think? Would you like to add your name to my dance card? I've never been involved with Austen in August before but I would love to join in now. Anything Austen is always a good idea. I promised myself that if 6 friends said yes to a low-key, casual #AllAboutAusten then I'd pop up a linky in the post (above). Consider it done! I would love to join. I read most of the Austen's atleast one time in the year and now, in your company seems like a brilliant idea! As this is a low-key, casual event feel free to post as you will. If you want to do an Introductory post, feel free, but if you only want to share your review/s with us that's okay too. 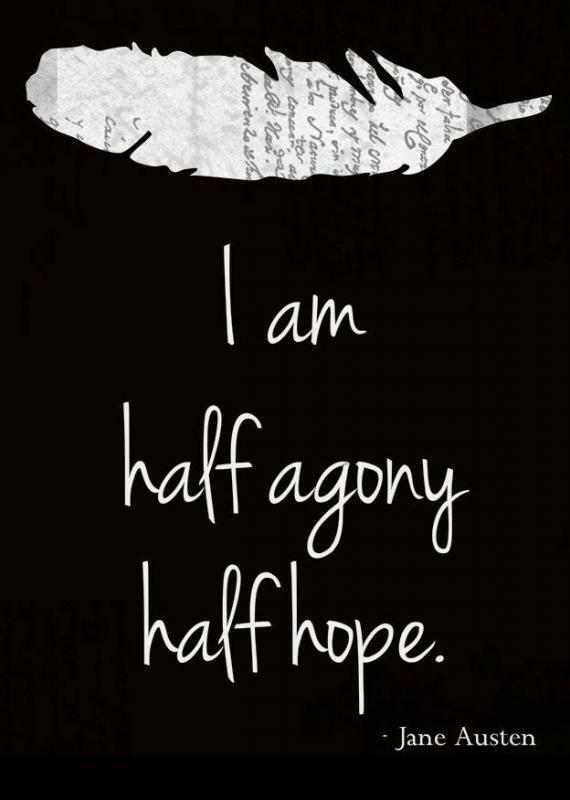 I used to reread all of Austen's novels every year from the age of about 16 to 28. I think I want to reread Mansfield Park this year - I have a beautiful new edition and it's always the one I liked least and found hardest going. I felt the same about MP, until I reread it a few years ago with #AusteninAugustRBR. I am now a MP convert! I'd be in it. I have Sense & Sensibility to listen to at work in the coming fortnight and Elizabeth Jenkins' Jane Austen only half-read. 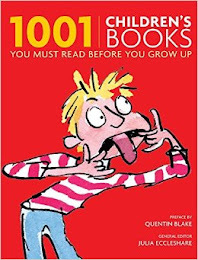 Be interested in your comments on the juvenilia too, could read along even. Even though Emma Thompson was far too old to play 19 yr old Elanor in the movie, she naturally did a brilliant job of it (& the screen play). It's probably my favourite Austen adaptation. I like to think of you tootling around WA in your truck listening to Austen. I'm not familiar with the Jenkin's bio on Austen. I read the Claire Tomalin one years ago & I have her nephew's one on my TBR pile for one day. Samuel Johnson is credited with saying that “A book should teach us to enjoy life or to endure it.” I think Jane Austen succeeds on both counts! @bronasbooks Are you sitting down? 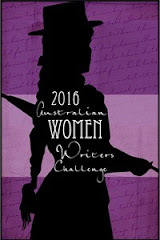 I will join Austen in August .....and hope others will sign-up as well!! 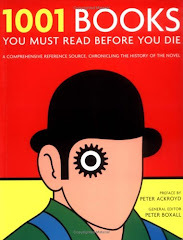 ...now the hard part: which book to read? 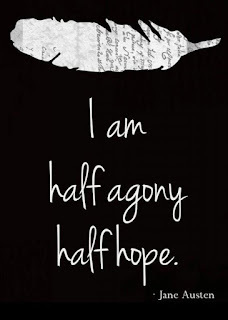 Just posted #austeninaugust last nite .. instagram daily challenge -at Faith Hope Cherrytea blog . TheBookRat has extended her annual 2 weeks to the full month ! Authors involved as well... why not jump in ? Yep, all are welcome! This is the ninth (!!!) year, and it's always lots of fun. 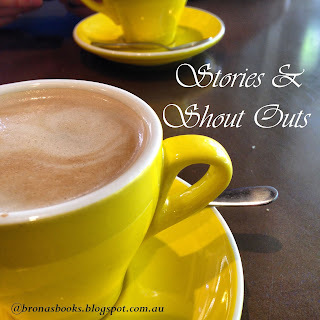 Interviews, guest posts, giveaways, and as FHC mentioned, an instagram challenge! Would love to see any of you there, or on social media with hashtag #AustenInAugust! Yes I will. I have been wondering if anyone was going to host an Austen in August this year. Thank you. I'm in. I would love to pop in for Austen in August. 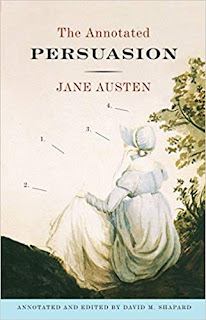 My f-t-f book group is reading Persuasion, and, I've requested a boo-coo of books about Austen and Persuasion (including the Annotated Persuasion) from my library. My plan is to read my #ccspin book this weekend, then I will get stuck into JA properly for the rest of the month. I also have a stack of reviews to catch up on thanks to last weekends very successful #reversereadathon. 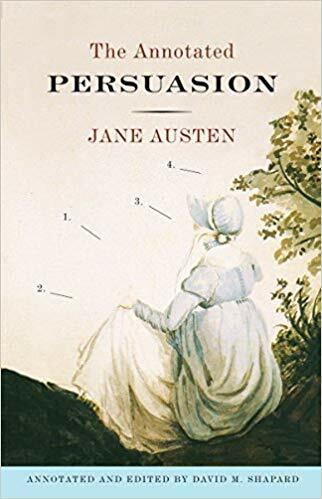 I hope your library comes up with the annotated Austen - I've read Persuasion several times so far this lifetime & I'm rather excited about delving into more deeply this time around. It has arrived. I may go pick it up today. Sounds like fun. Persuasion is highest on my reread list, I think, though maybe S+S. I've also got this Carol Shields bio of Jane Austen I got at a school sale last fall that keeps calling to me. I just found that at the library! Ohhh the combo of bio and writing process insight in this one sounds promising. Thanks Reese!